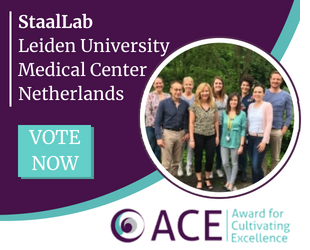 Meet the finalists of the 2018 RegMedNet Award for Cultivating Excellence and vote for your winner! From 49 nominations, we have our five lab shortlist...but there can only be one winner! 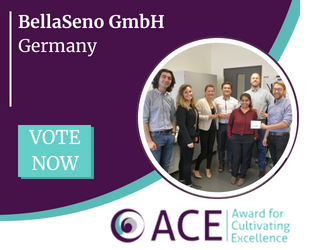 After launching nominations for the RegMedNet Award for Cultivating Excellence earlier this year, we have been overwhelmed with your enthusiasm to recognize and celebrate the work of regenerative medicine labs around the world. After deliberation by our judges we are delighted to announce the finalists for this year’s award. BellaSeno is commercializing a new generation of breast implants for mastectomy patients. Disrupting the currently prevailing paradigm of silicone implants which permanently introduce a foreign body into the patient, their highly porous implants are biodegradable by the body and augment the regeneration of natural tissue. Their patent-pending technology has been featured on the cover of the prestigious Tissue Engineering Journal (Vol 23: Issue 3), RegMedNet, Bayerischer Rundfunk, ABC Australia Radio, Science Daily, Oncology Advisor, SBS The Feed and on major TV news networks, for example 7 News, ABC News and 9 News. "The students are awarded authorship in all publications and patents that directly result from their work at BellaSeno"
"BellaSeno believes that in order for Additive Manufacturing to reach its true potential in the field of medicine training of young engineers and biologists is of paramount importance"
Since its inception in 2011, the Biotechnology Unit of the School of Science, Technology and Engineering at the University of Suffolk has nurtured the ambitions of a young, international group of academics. Research activities and research-informed teaching, at both undergraduate and postgraduate level in the area of Regenerative Medicine, constitute our core business. Amongst the brightest stars of their provision are the BSc (Hons) Bioscience and MSc Regenerative Medicine courses. 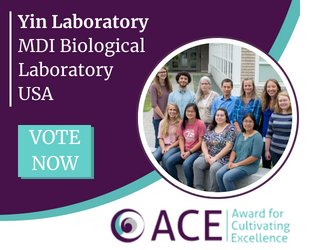 They are on a mission to make Suffolk the recognized hub for advanced science locally, nationally and internationally, whilst equipping their students with confidence and skills to succeed, no matter their social and economic background. 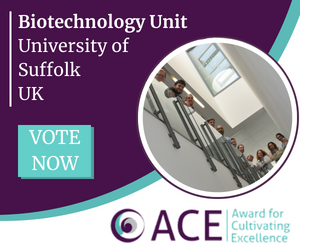 "The role played by [their] teaching and learning environment, with students as protagonists, has been the place where Team members continuously develop their career and expertise"
"[The University of Suffolk] plays a fundamental role in the rural and rather deprived Suffolk area and the continuous effort at establishing and progressively consolidating a teaching and research platform in the area of regenerative medicine represents both an exciting and challenging endeavour for [the] Team"
Their lab seeks to better understand the heterogeneity of two common neurodegenerative diseases of the brain- Parkinson's (PD) and Huntington's disease (HD). They do this through assessing and following up large numbers of patients with these conditions and then use that data to model disease, study disease mechanisms as well as develop new models in the lab including patient derived induced neurons. They then take this information to move new therapies to patients, and this has included drug repurposing, cell and gene therapies. They are the only center in the UK that has undertaken trials of neural transplants in patients with PD and HD, gene therapies in PD and ASO treatments for HD as well as drug repurposing. They are thus a lab that not only translates findings from the lab to the clinic, but the clinic to the lab. "From a collaborator’s prospective, Roger really does appear to have his teams personal development at heart and as a result, his team members progress and have gone on to develop groups of their own." 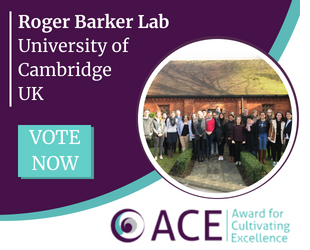 "The Barker lab has also been active with in the UK regenerative medicine field. His group were active members of the first round of the UKRMP project (the Pluripotent Stem Cell Platform)." The PI, Frank Staal, was trained in biomedicine at the Faculty of Medicine of Utrecht University (The Netherlands) and moved to Stanford University (CA, USA) for his PhD which involved fundamental and translational aspects of HIV disease. His postdoctoral work included work on human T cell development and genetic mouse models. In 2000, he started his own lab at Erasmus Medical School (The Netherlands) and became interested in gene therapy for severe combined immunodeficiency (SCID), a disease in babies in which T cell development is blocked due to inherited mutations in key developmental genes. In 2007 he was appointed full professor at Leiden University Medical School (The Netherlands) where his lab foci include clinical implementation of gene therapy for RAG-SCID, other gene therapy approaches with blood stem cells. Fittingly, his appointment is in the Department of Immunohematology, where the late Jon van Rood performed the first bone marrow transplantation for SCID exactly 50 years ago. Voot Yin established his laboratory at the MDI Biological Laboratory in October 2010. Research in the Yin lab is focused on elucidating the genetic and cellular pathways regulating heart and limb regeneration in zebrafish and mice, with a particular focus on the role of noncoding RNAs. The Yin lab’s most significant achievement is the discovery of MSI-1436, a drug candidate that stimulates regeneration of heart muscle tissue, minimizes scar formation and improves heart function following heart attack in adult mice. The lab is now testing MSI-1436 for efficacy in pigs, the animal model whose heart most closely resembles that of humans, as a prerequisite to human clinical trials. MSI-1436 has previously been deemed safe by the FDA at doses many times higher than would be used to treat heart attack patients. The Yin lab continues to define additional applications for MSI-1436 to repair degenerative and acute tissue damage. "Yin is the founder and director of REGEN, a two-week course in Comparative Regenerative Biology held at the MDI Biological Laboratory....the networking, collaborations and knowledge sharing that occur in the course continue long after students and faculty have return to their home institutions." "[Whilst on the fellowship with Yin's lab] I'm learning things no one else has learned before...it's very cool that I can be a part of that as a 17-year-old. Because the laboratory is such a tight-knit community, you're able as a summer fellow to work directly with the all the scientists, which wouldn't happen at a larger institution. It's this opportunity to share knowledge that makes the summer fellowship experience here so unique." 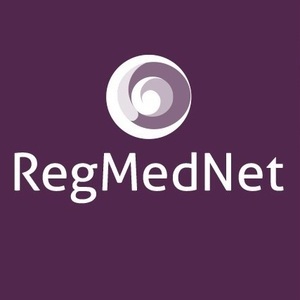 The RegMedNet Award for Cultivating Excellence is back!